Do you ever end up forgetting about your carved pumpkins that are just sitting on the doorstep? To be honest, I’ve left mine outside for several months before, *nervous chuckle*. 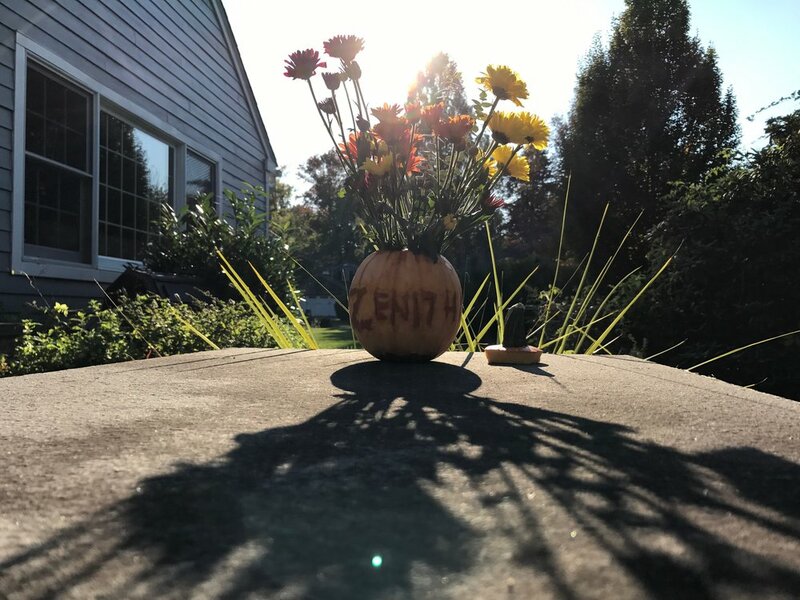 This Halloween, instead of making a simple Jack-o-lantern, why not (pumpkin) spice it up by making your pumpkin into a flower vase?! It’ll be much more admired on the dinner table than the front doorstep. You carve it the same way you carve a jack-o-lantern, but make sure to scrape your design on the outside instead of cutting all the way through so that you can fill it with water! If you’re wondering if this makes the pumpkin rot faster, mine’s been on the dinner table for about 5 days now and it’s still going strong!